Just to clear things up, sampaguita wouldn't be replaced, but waling-waling will just be declare as another national flower. Would that also means that we can have two national land animals? two national heros? two national anthem? Just asking, we are not against the waling-waling being another national flower as the sponsors of the bill said that this would mandate the Department of National Resources to create laws in protecting this flower. Harsh survival of waling-waling was said to have been noticeable after the flowers were harvested from the wild for commercial and decorative purposes, not to mention the continuous deforestation. 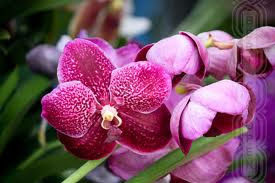 Waling-waling is a kind of orchid that is endemic (or grew originally) on the Philippines, particularly in Davao, Cotabato and Zamboanga provinces. The National Museum of the Philippines had confirmed that Waling-waling grows originally from our country, and breeds abroad were just exported. Sampaguita on the other hand were imported from India and Arabia. The Senate Bill Number 5655 would put our native flower under protection, we just hope that this would finalize as soon as possible.